This cruise day began with snow. 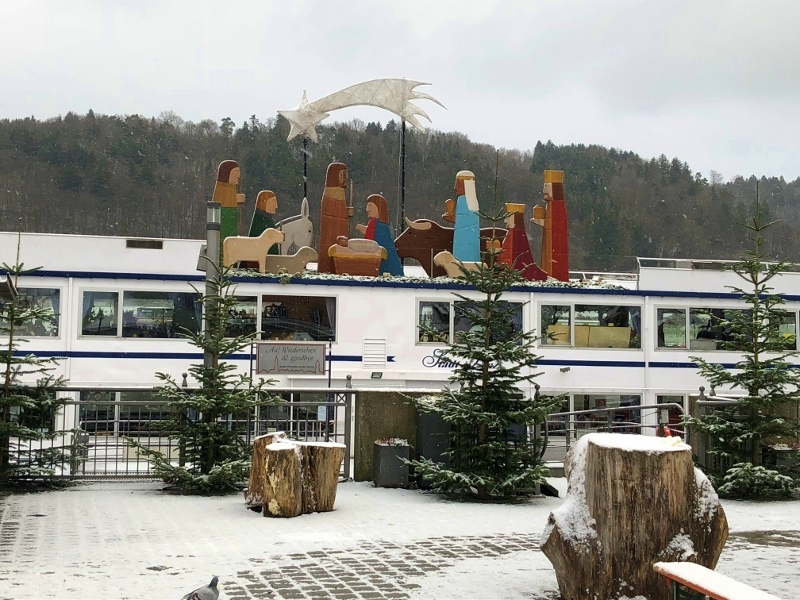 We had been originally scheduled to cruise to Vilhofen but were held overnight in Passau because of some bridge work being done that would not allow our riverboat to pass beneath it. It was not a terrible inconvenience as Vilhofen was just about a 30 minute bus ride from our boat. Much as I wanted to enjoy the snow as a part of the Christmas theme to our cruise, I was concerned about slipping on icy walks and the cold weather was really beginning to wear on me. Every so often I had that fond memory of 80 degrees and sun in Miami we had left behind. 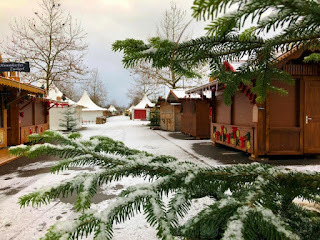 We had signed on for this excursion to Vilhofen and the Aldersbach Abbey not really knowing what to expect other than seeing another Christmas market. 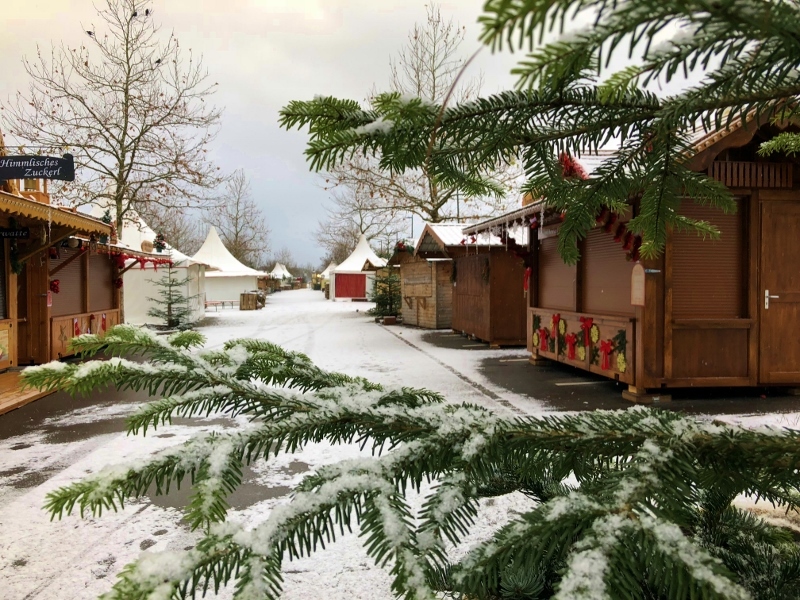 Our bus ride ended at a small riverside parking area but a ways from the Christmas Market on the riverbank. It was a bit of a walk on slippery cobblestone and pavement and it ended at the market area that was closed. It didn't open until much later but our tour guide obviously felt obligated to show us. 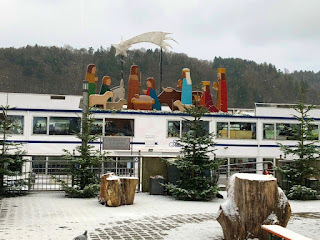 I took a couple of pictures, inhaled the lingering chocolate smell from one of the closed booths and admired the large nativity that had been set up on top of a riverboat moored at the shore. Just then the hotel director from the Crystal Mozart who had joined our tour asked that the tour guide just take us back to the bus before someone fell. He apologized. We returned to the bus and made our way to the Abbey. I fully expected another church to look at and wasn't disappointed. 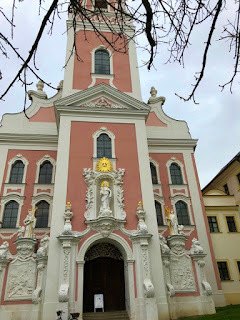 There was a church and a monastery. The church was under renovation and icy cold. I could feel the cold seep up through my boots. 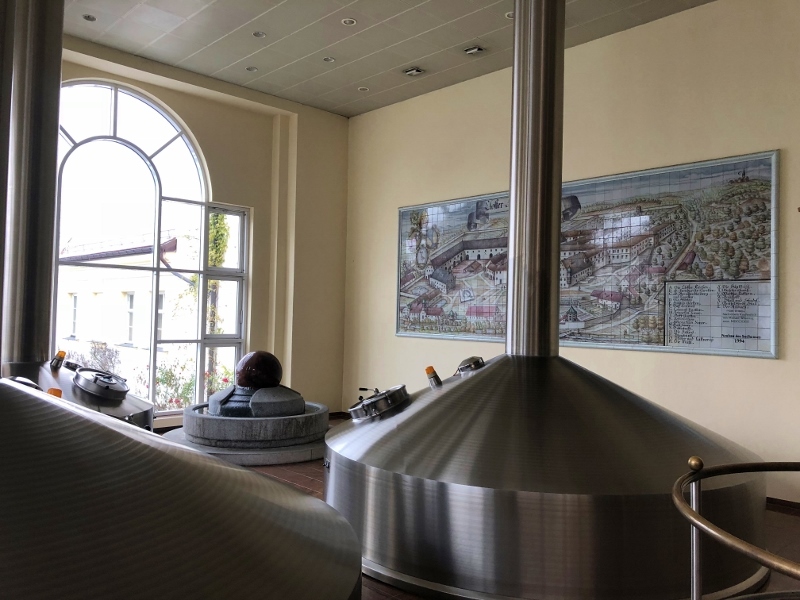 The Aldersbach Abbey however was known for something more--their beer. Ah, those monks knew how to make beer and the Abbey continues to turn out all sorts of brews. Our tour guide handed us over to a lady who took us on an extremely educational tour of the brewery. She showed us every which way they make beer. I always wondered about how they got different colors and flavors and it has to do with the grains they use and how long they roast them before they put them into the mixture with the hops and the yeast. 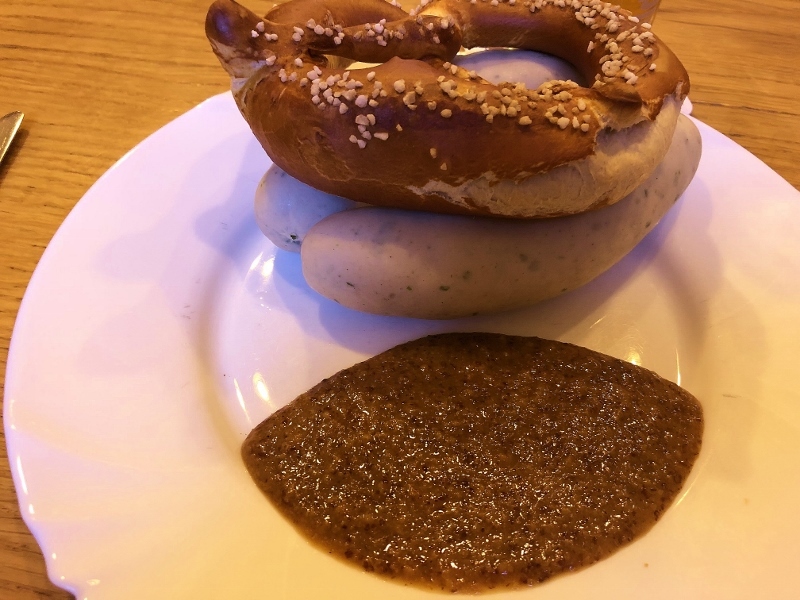 Oh yes, and there were two kinds of yeast. One that stays on top and one that works from the bottom so that lends to a whole other flavor and texture. Maybe it was because everyone seemed quite attentive or maybe because she was such a precise person who seemed a bit like a school teacher but I leaned over to another woman in our group and said I hoped she wasn't going to give us a test at the end. She giggled. "I was just thinking the same thing." Our brewery tour ended in the pub with some samples of beer and the best part, the famous white sausage of Bavaria accompanied with sweet mustard and a soft pretzel. Yummy does not sufficiently cover that eating experience. The trip back to the boat was quiet. Eating comfort food has a way of doing that to you. We spent the afternoon watching Christmas movies and warming up. After all, we had this wonderful room and a big TV and a really comfy couch and bed. And it was the Christmas season. . .